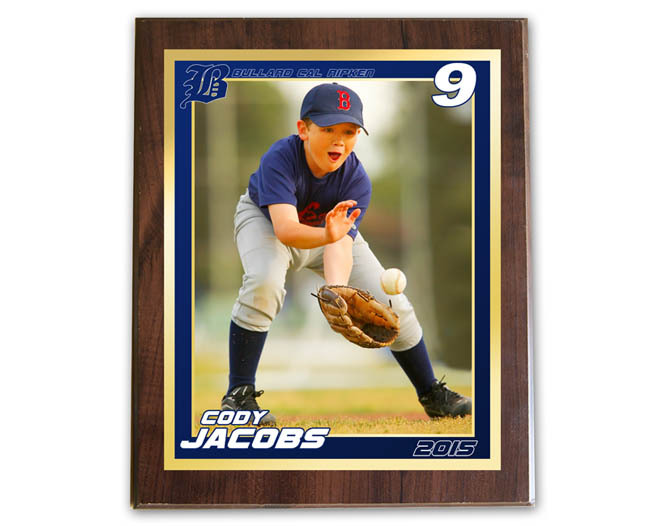 One of our best selling items, these plaques are printed on an 8×10 photo and mounted to a Walnut 10×12 wood plaque with a high quality nail-on acrylic plate. They are completely customizable with text, event logo, color, and available for every sport. Each sport has different templates to choose from. Our swimming designs for example have 11 different background choices. 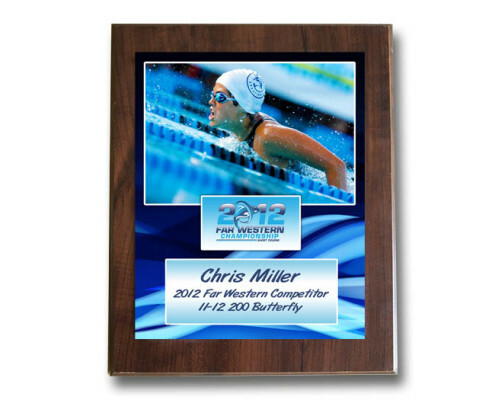 A perfect choice to commemorate a season, victory, making it on team, qualifying for an event or swim meet, and more.